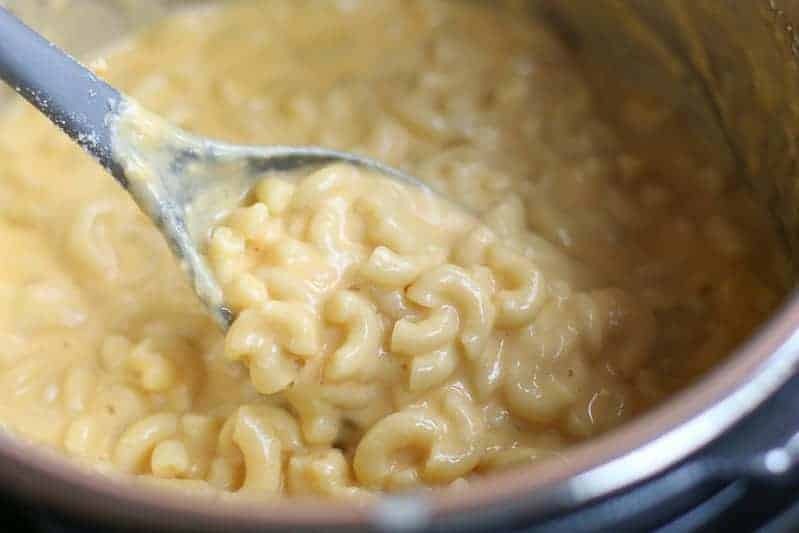 This Creamy Instant Pot Mac and Cheese Recipe tastes just like your grandma made it. It is deliciously cheesy and creamy. 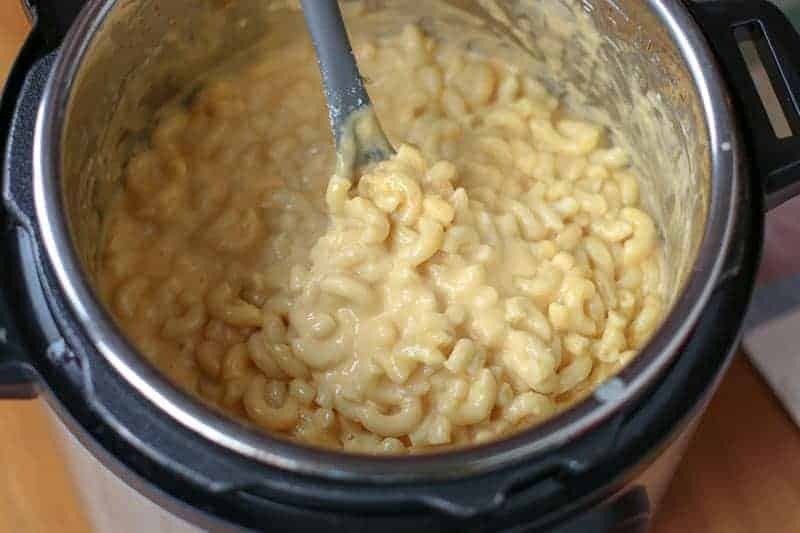 This easy and creamy Instant Pot Macaroni and Cheese is cooked in just 10 minutes but tastes like the traditional baked version. This will be your new favorite Mac & Cheese recipe! 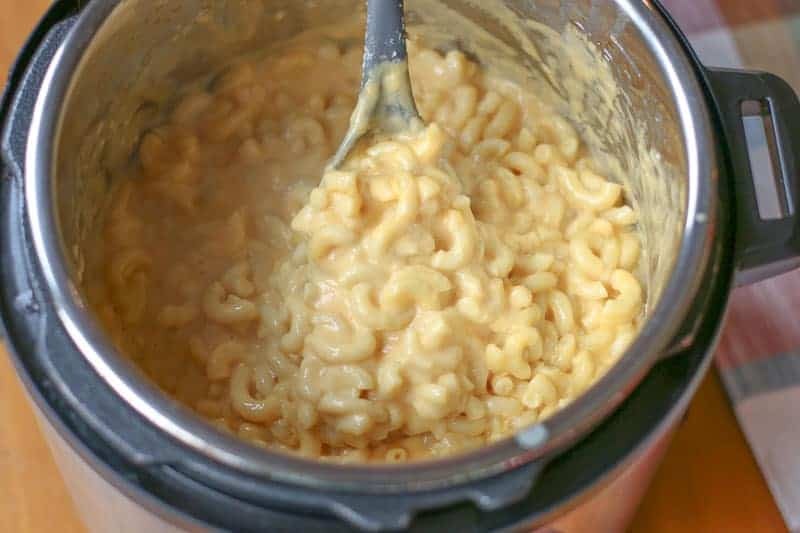 This Instant Pot Mac and Cheese recipe is the reason I bought an Instant Pot. 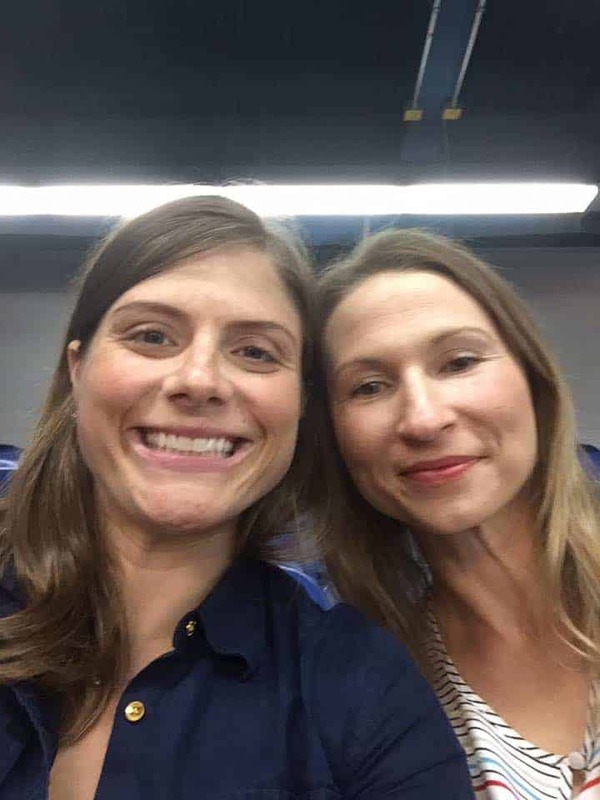 My friend Rachael came to dinner at my house one night. She said she was bringing homemade macaroni and cheese. She came over with the ingredients and an Instant Pot. 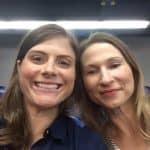 I was terrified of the Instant Pot and very skeptical of what she was trying to pull together. She started throwing together all the ingredients in the Instant Pot. She never drained the pasta water. I was thinking to myself, “This is going to be an absolute disaster, and I am going to have to politely eat this stuff.” I was dreading the outcome. To my surprise, out came the most perfect, creamy, cheesy, tasty macaroni and cheese ever! It was just like the old fashioned kind baked for an our in the oven like your grandma would make. I couldn’t believe it! That is when I knew I had to get an Instant Pot. I have loved mine ever since. I wish I could take credit for the recipe because it is so freakin’ awesome…. but I can’t. Rachael found this recipe from Dad Cooks Dinner. He does an optional step of broiling breadcrumbs at the end. We love it right out of the Instant Pot, so we omit that step. You are welcome to dirty another dish if you like. Dad Cooks Dinner has a lot of awesome looking Pressure Cooker recipes to check out like Chicken Soup with Rice, Chinese Ribs, and Salted Carmel Cheesecake! Be sure to check out his blog! If you liked this Creamy Instant Pot Macaroni and Cheese Recipe, check out more of my Instant Pot recipes: 15 Minute Instant Pot Salsa Verde Chicken, 15 Minute Instant Pot Orange Chicken , and Instant Pot Country Style Steak… YUMMMMMMMY! 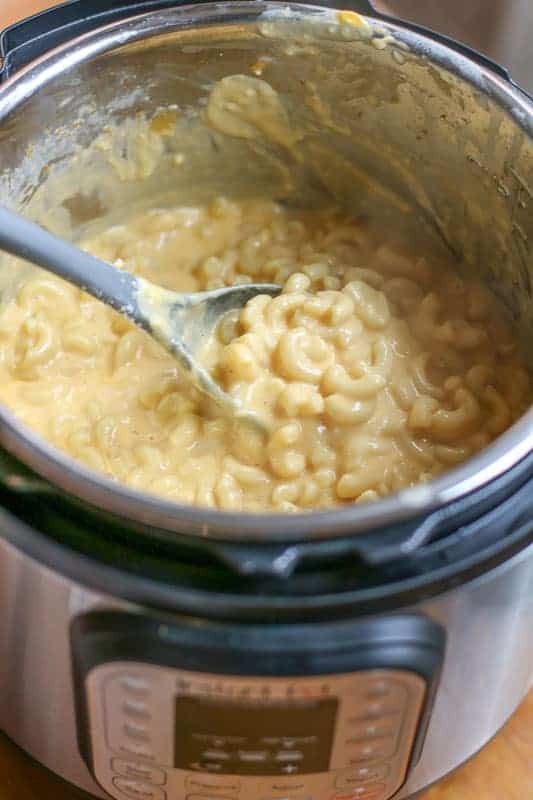 Easy Instant Pot Mac and Cheese recipe that is absolutely delicious. It tastes like the traditional creamy, cheesy baked version and is made in 10 minutes. 1 tsp hot sauce I use Texas Pete Hot Sauce. Stir macaroni, butter, mustard, hot sauce, salt, and water in the Instant Pot. Lock the lid and cook on high pressure for 4 minutes. Quick release the pressure and remove lid. Turn on Saute Setting. Stir in the evaporated milk. Add cheese one handful at a time, stirring constantly allowing cheese to melt between each handful. Remove from heat. Set for 2 minutes for the milk and cheese to completely absorb the pasta and serve! I made this and was very happy with the result until it went cold and turned very dry….. Perhaps next time I won’t add as much cheese…..or add more liquid at the end….. Tasted delicious hot …. Yes, about a 1/2 cup. How much is a serving? I know it serves 12 but for my sanity could you tell me if that equals 12 half cup servings? Thank you! The sodium content in this dish is not safe for anyone with blood pressure, heart, or kidney problems. One tablespoon of salt has 6,976mg of sodium!!! The cheeses have plenty of salt (sodium) in them by nature so I really don’t believe you need to add one entire tablespoon of salt to this dish. I will try it w/o doing that b/c it looks like a really good recipe otherwise. I made this recipe on Easter. It turned out super creamy and delicious. I changed it up a bit by adding garlic powder, a little cayenne pepper and nutmeg. I then put into a baking dish, added panko bread crumbs and dabs of butter and broiled under the broiler because my son likes a crunchy top. It was delicious. I am sorry, but I really don’t know. Do you think if I double this recipe it will fit in the 8 qt? I don’t have an instant pot and I am not a person who usually buys gadgets, but I am really tempted on this one. I almost think I could just replace my rice cooker (which I use all the time) with this and get that pressure cooker mojo going with an instant pot. It seems like you can do so much with it. Wow, this looks so gooood! Creamy and cheesy, just like macaroni and cheese should be! I also enjoyed looking at your site and those wooden utensils are amazing! Keep up the good work! Lucky you to have a friend come over and make you a yummy dinner 😉 I can see why you were skeptical at first, but this looks creamy dreamy amazing! Love how easy it is too!